I began this year with a desire to make some changes and focus on my dream career – writing. When I went back to work after Christmas, I gave three months notice. Somehow I’ve arrived at my last week. I’ve been at my company for seven years and it feels very strange and somewhat scary to be saying goodbye to it after so long. Not only that, but I’m leaving the security of my full-time job in human resources to follow my dream – which may, or may not, come to anything. I’m not usually a risk taker. In fact, I hate change and I’m really indecisive so it’s a little bit shocking to me that I’m prepared to take such a leap. But the positives out weigh the disadvantages. Not only will I now be able to focus on writing which I love, I’ll be leaving my three-hour a day commute behind which has driven me slightly crazy over the years. And while I don’t have any family commitments, this is a chance to go for it and ensure I don’t have any regrets about not trying in the future. It will be a big adjustment and will probably feel like a holiday until it sinks in. But I will give it my best shot. 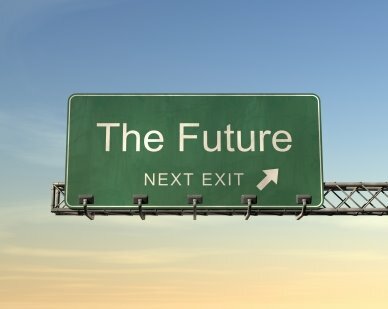 And hopefully 2012 will see my dreams coming true. Well done for taking the leap. And lots of luck! Victoria is good you took a leap! i ve been a writer for several years – no job, no salary but i love writing and i ve been going inspite of the hardship. So i encourage you to keep going………….. Thanks for commenting, good to hear I’m not the only one doing this! Aw thanks Nicole, that means a lot! Good luck on making your dreams come true! Lots of love and inspiration to you! Thanks Bonnie, that means a lot! Thanks Lisa, I really appreciate that! It’s that time already? I remember when you first wrote about giving notice. It sounds like you’re very committed and that is a great thing to have as a writer. I’m really happy for you and wish you the best of luck in pursuing your dream career. Quite an inspiration, really :). Thanks Pany, that’s really sweet of you! More power to you Victoria! You’re going to do great things! I’ve been wanting to quit my job for a long time. I hate it and it’s boring. I just don’t want to move into another boring job. I need a job I. The publishing industry, which you can guess us incredibly difficult! Therefore I’d only end up jobless. I’ve been wanting to quit my job for a long time. I hate it and it’s boring. I just don’t want to move into another boring job. I need a job In the publishing industry, which you can guess is incredibly difficult! Therefore I’d only end up jobless. 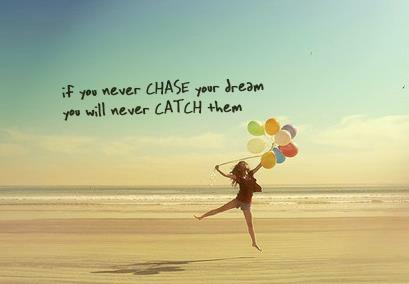 I’m so happy you are chasing your dreams. It’s such a big step but it’s better to not have regrets and enjoyy. Plus, this is the ideal life for any writer. I’m seriously considering quitting anyway so I have time to find a job I want. Thanks Rebecca. You need to follow your heart as much as you can. Good luck finding something you enjoy! I know exactly what that leap feels like! I am sure it will bring out the best in you and your writing. I believe that dreams are made to be chased and caught, and for a lot of us it will be the toughest journey we ever take. But also the most rewarding. Thank you, good luck to you on chasing your dreams – we can do it!! If you don’t take the risk, you will never know, and you will always wonder if you could have done it! Lots of luck Victoria! This is the best time to take a risk. Before you have too many responsibilities and your decisions effect too many other lives. Congrats! Looking forward to hearing all about your daily writing life. Thanks Kourtney 🙂 I will keep you updated! Hooray for doing something crazy in pursuit of your dreams! When I first considered packing up all of my belongings and moving to China, I thought that sounded crazy…but now I’m here and enjoying it and I’m so glad I made a “crazy” decision. Here’s hoping that one day (not too far from now) you’ll be looking back on this feeling so grateful that you made a crazy decision as well! Thanks Irene. The support on here has been amazing, I’m super grateful! You go, girl!! Way to follow your dreams! You are doing something that I have always dreamed of doing. Huzzah for you. I came across your blog, and I’m glad I stopped by. Best of luck! Thanks LT and good luck on your journey too! Victoria, I’m wishing you LOTS of luck! I think it’s amazing that you’ve committed entirely to your dream. Give it everything you’ve got! Thanks Jamie, I really appreciate that! So exciting, Vix! Every time I’ve leaped . . . the net has appeared . . . just in the nick of time. Good luck my friend. This is going to be such a lovely time in your life. It’s going to be a little scary, of course it will be, anything with any degree of uncertainty will be. But you’ll enjoy it if you just accept that anything can happen and whatever happens there is some reason for it. Life is filled with these sorts of things. Yay Vicky!!! Thanks D. Wise words as ever!